"Saturday Night Live" kicked off its latest episode with a powerful moment. 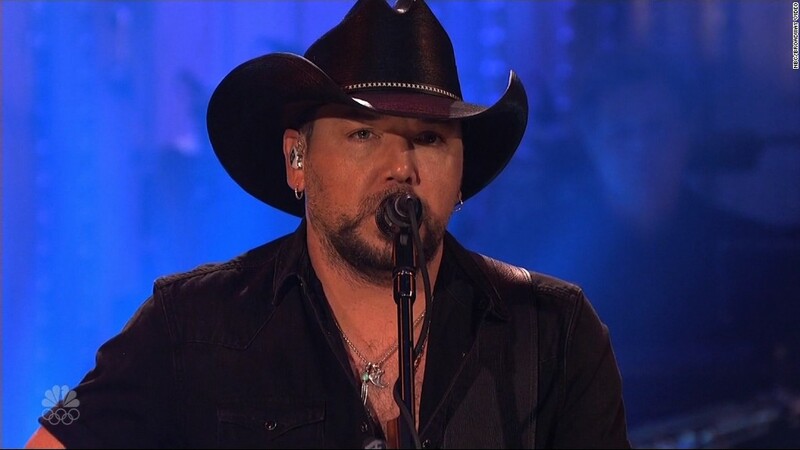 Country singer Jason Aldean opened the second episode of the NBC variety series' 43rd season with a Tom Petty cover just days after playing as the mass shooting began in Las Vegas on Sunday. "This week we witnessed one of the worst tragedies in American history. Like everyone I'm struggling to understand what happened that night and how to pick up the pieces and start to heal," Aldean said starting the show. "So many people are hurting." The singer, who was wearing all black including a black cowboy hat, added "We hurt for you and we hurt with you, but you can be sure that we're gonna walk through these tough times together every step of the way." "Because when America is at its best, our bond and our spirit is unbreakable," the county singer said. Aldean then went into a rendition of "I Won't Back Down" by Tom Petty and the Heartbreakers. Aldean wrapped his set by looking at the camera and saying the series' iconic words, "Live from New York... It's Saturday night!"